What happens when a community of Norwegians end up in a small town in North Dakota, thousands of miles from home? Well you can bet that they start longing for the culture and creature comforts of Scandanavia. The solution: Norsk Høstfest. Translation? The Norwegian Autumn Festival. What's all the buzz about? Well, it's just the largest Scandinavian festival in North America! Each year the innocuous town of Minot is flooded by over 60,000 visitors from the US and Canada. They come for the 'pure Scandimonium,' intrigued by the interesting (Swedish egg coffee) to the traditional (rosemaling) to the downright bizarre (lutefisk). If you haven't a clue what any of those things are, it's time to Halling dance your way down to Norsk Høstfest for a first hand education. Norsk Høstfest was founded by Chester Reiten and his like-minded friends who wanted to celebrate their Norse heritage. With 40% of Minot's local population of Scandinavian descent, the festival became an immediate hit. Attendance and participation swelled, and Reiten found himself accommodating all Scandinavian cultures under the banner of Norsk Høstfest. 2015 marks the 38th year and the festival’s popularity shows no signs of waning. With Scandinavian entertainment, demonstrations, crafts, goods and cuisine in endless supply, Norsk Høstfest promises to be better than ever before. Oh, and did we forget to mention - world famous entertainers ready to take the stage? Central to any good festival is the food, and Norsk Høstfest has enough Scandinavian cuisine to satiate any appetite. Visitors won't find any chain food here; those 60,000 festival-goers will be fed by two dozen restaurants, each serving up their own special Scandinavian recipes. Time and time again Scandi and En To Tre prove to be the crown jewels of the Høstfest dining scene. Both serve up Norwegian fare, resulting in some friendly competition. But it’s the peckish visitor who is guaranteed to win. En To Tre is a one-of-a-kind fine dining experience festival-goers shouldn't forego. 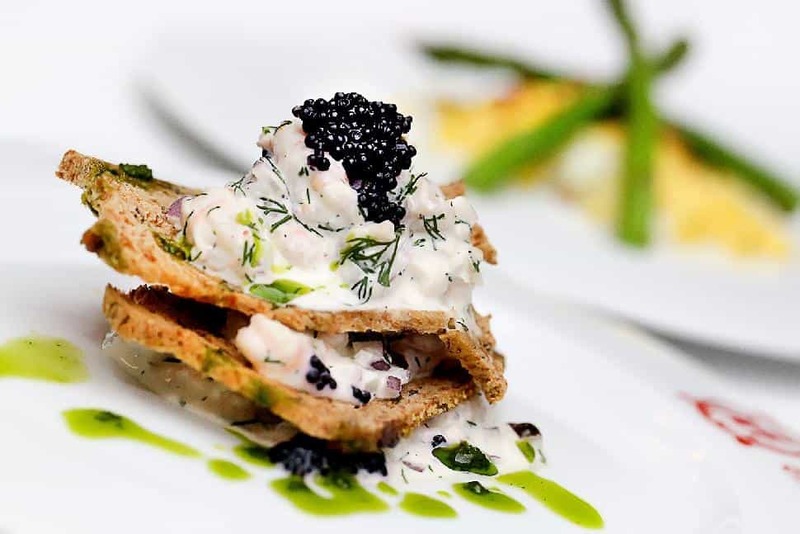 World-class chefs bring Norwegian dishes stateside, showcasing ingredients like smoked salmon and juniper-cured reindeer meat. The equally talented (and equally Norwegian) chefs at Scandi serve up traditional fare with a homemade feel. What can diners expect? Comfort foods like beer-braised pork belly and pickled herring are a great start. 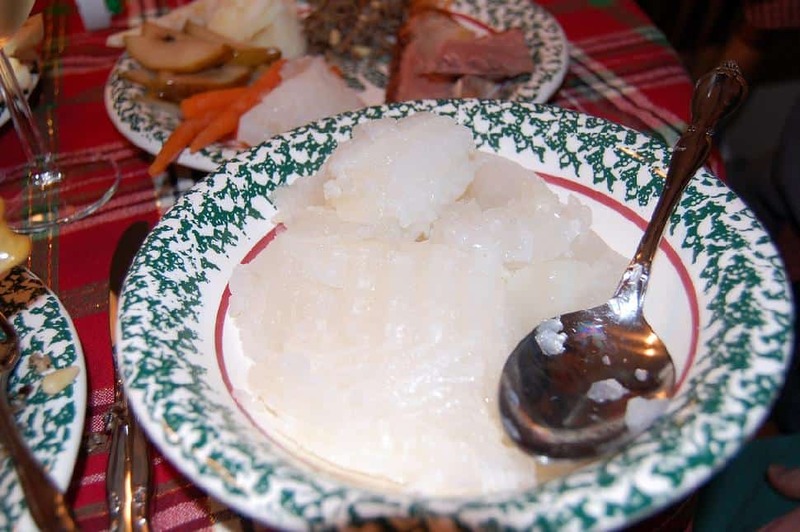 Elsewhere throughout the grounds, small restaurants will be serving up specialties like rice and bread pudding, a rich variety of stews, and for those daring enough, the festival favourite of the older crowd: lutefisk. This special filet of North Atlantic cod is dried, soaked in delicious-yet-poisonous lye, rinsed and then baked or boiled until it reaches a palatable Vaseline-like consistency. Needless to say, it's only a treat for Scandinavians or adventurous eaters. After feasting through the festival grounds, visitors would be remiss if they passed up the festival's market area. 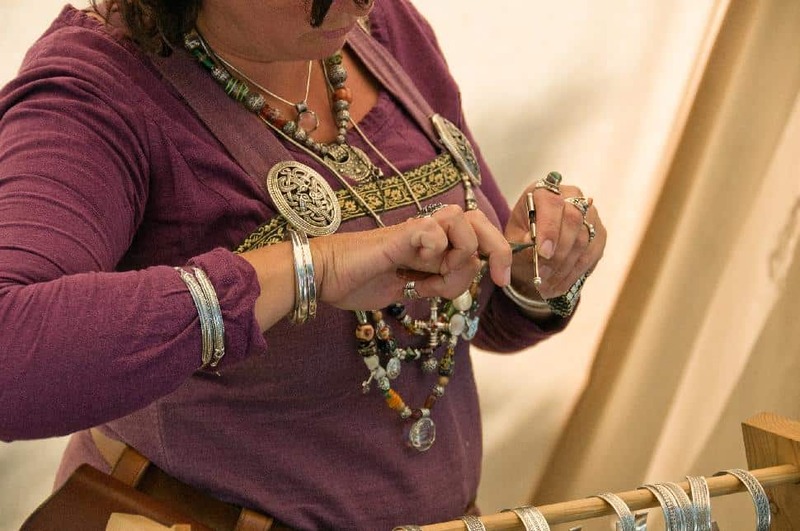 Not only will visitors find plenty of Scandinavian goods, but there are also a number of demonstrations of traditional trades. While shoppers may find themselves immediately attracted to Viking helmets and hand fashioned knives, artfully crafted Norse jewelry, Norwegian perfumes and Danish porcelain dolls should be equally treasured. For those who can't decide on a souvenir, one can't go wrong with imported Scandinavian food items. Who wouldn’t want to bring a little Høstfest home? Throughout the market grounds visitors will also find many stalls dedicated to demonstrating traditional Scandinavian trades and crafts. 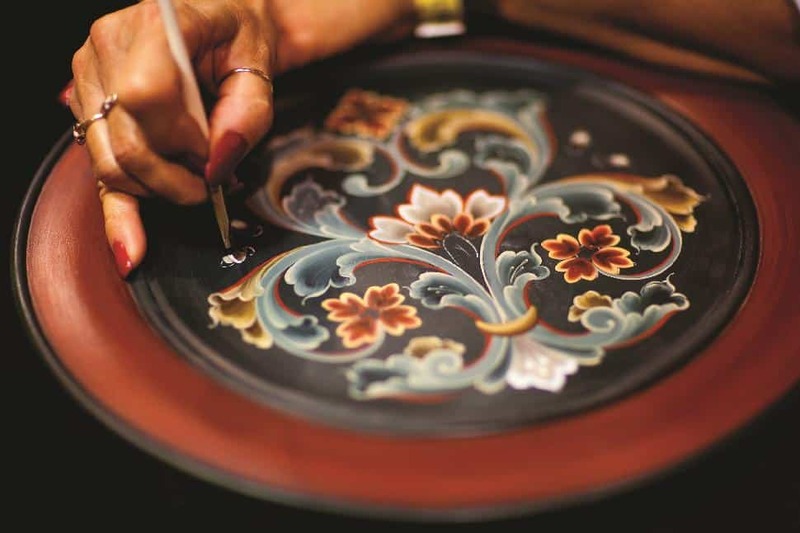 At Norsk Høstfest you’ll see tatting (the process of knotting lace), rosemaling (decorative flower painting on wood), stoneware pottery creation, wood carvings, and wool spinning. If you admire what you see, all of the handmade products will be for sale. Among food and market vendor stalls there will be many unique opportunities for entertainment. Visitors will need to buy tickets to access the main lineup hosted in the Great Hall of Vikings, but there are plenty of free acts to enjoy too. 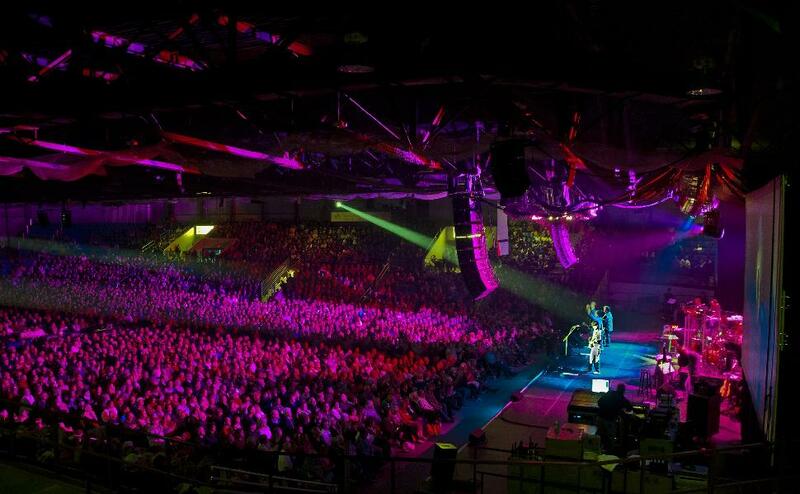 For 2015, Norsk Høstfest welcomes world famous guests like comedy star Jeff Foxworthy, musical phenomenon Celtic Thunder, Martina McBride and the legendary Beach Boys. Click here to see the full event schedule. Additionally, there are 30 free shows to explore throughout the festival grounds. Being the largest Scandanavian-focused festival in North America, the lineup is well stocked with Nordic talent, including Solli-Tangen, Bjorø Haaland and Harald Haugaard. One of the biggest attractions in the festival's history sits within the Viking Village. Inside this piece of history brought to life, visitors can catch a glimpse of not only the day-to-day life of old Scandinavia, but the dramatic exchange of blows in the live steel Viking combat displays. Elsewhere, visitors can take in a show of the Norwegian Halling Dance (the most athletic dance in the world) or enjoy the traditional accordion stylings of the Norsk Høstfest Accordion Club. The club boats over 100 members, which is said to be the largest gathering of accordions. (Which should make it impossible to miss!) If it's fiddling you fancy don't miss a show performed by the Swedes in the Weeds. Stick around the main hall to celebrate the crowning of Miss Norsk Høstfest, or vote on who should receive a Chester (the festival's answer to an Oscar) for their contribution to the festivities. But truly, the live steel combat, dancing and musical performances only scrape the surface of the entertainment taking place throughout the four festival days. Those looking to stay the full length of Norsk Høstfest should book accommodations in advance. While Minot and the surrounding area is home to 34 different hotels and a handful of campgrounds, North America's largest Scandinavian festival attracts a lot of out-of-towners. Some of the closest hotels (Staybridge Suites and Candlewood Suites) are already full, but visitors may still find vacancy at the Holiday Inn Express, Comfort Inn, Hampton Inn, and Fairfield Inn. Those staying at select hotels on the festival’s recommended list will have access to the city buses. These buses will taxi guests to and from the festival for $5 a day. Those who choose to drive will be treated to free parking on the east side of the North Dakota State Fairgrounds and can ride the Viking Longships that sail passengers to the main doors of the festival. If you've got a home on wheels, you've lucked right out. With on site RV parking at the Høstfest visitors who arrive by RV don't even have to leave the festival grounds. Are you planning on attending Norsk Hostfest 2015? Need a hand planning your trip to North Dakota?